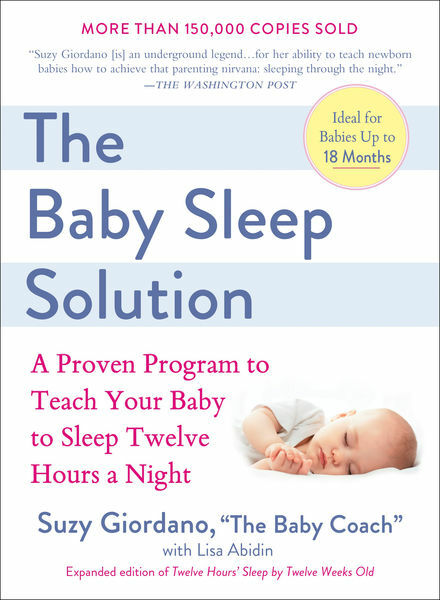 Suzy Giordano, affectionately known as “The Baby Coach,” shares her highly effective sleep-training method in this step-by-step guide to let both baby and parent enjoy long, peaceful nights. Full of common sense and specific tips, the Baby Coach’s plan offers time- and family-tested techniques to help any baby up to the age of 18 months who has trouble sleeping through the night. Originally developed for newborn multiples, this sleep-training method worked so well with twins and triplets that families with singletons and older babies began asking Suzy to share her recipe for success, resulting in: regular feeding times; 12 hours’ sleep at night; three hours’ sleep during the day; peace of mind for parent and baby; and less strain on parents – and their marriage. This edition includes a new chapter on implementing the program with babies up to 18 months.